• Synopsis of the episode : In an attempt to change the usual punishment pattern for Reese, Hal signs them both up for cooking classes, which turns out to be Reese’s area of genius. Meanwhile Francis gets Eric into trouble because he did not yet finish his part of their co-op history assignment. Malcolm has the best intentions when he tries to explain to Cynthia that her planned party might end up with less then expected attendance. • Synopsis : An attractive and popular teenager who is mean-spirited toward others finds herself in the body of an older man, and must find a way to get back to her original body. • Synopsis : This weekly television series follows the Camden family as the minister father and stay-at-home mother deal with the drama of having seven children, ranging from toddlers to adults with families of their own. The friends, neighbors, and love interests of the various members of the family weigh heavily on the plot of the series, which seeks to address a real-life issue with each episode. • Synopsis : Newlyweds: Nick and Jessica is a reality television show. It followed the marriage of then husband and wife Nick Lachey and Jessica Simpson. The show first aired in August 2003 and ran three seasons, with 41 episodes in total. The last season started on January 26, 2005, and the last episode aired on March 30, 2005. • Synopsis : The Ashlee Simpson Show is a television reality show about the life of Ashlee Simpson. The first season, taped from 2003 to mid-2004, focused on the beginnings of her career as a singer and the recording of her debut album, Autobiography. A second season, taped from late 2004 to early 2005, focused on her career after the album’s release. • Synopsis : An aspiring New York model, Brier (Pell James) falls in love at first sight with a struggling musician, Luke (Steven Strait) when they cross paths on a subway train. Having achieved success as a model, she decides to move to L.A. to launch an acting career. She wanted to become a dancer but it didn’t work out. With the support of her agent and sometimes surrogate mom, Carrie (Carrie Fisher), she lands a spot in an acting class where she befriends another would-be actress, Clea (Ashlee Simpson). While out on the town, Brier crosses paths with Luke once again in a club called ‘The Mint’. The two girls realize that he is actually a good musician, and they then decide to help him and set out to create some L.A. style hype to get him noticed by a record company. As his profile rises, so do the demands of his budding new career and they both discover that the price of fame may be higher than anyone expected. • Synopsis : The wife of a former ME, Dr. Marty Pino, is found dead and a white powder near her body helps the CSI team track her killer. The team discovers that the powder is actually heroin made from human bodies. Meanwhile Stella and Angell continue their search for the killer of the rat fisherman. • Synopsis : A new generation of young professionals living at the infamous Melrose complex deal with obtaining their own personal goals, drives, and desires, both amongst themselves and others. • Synopsis : An anthology of stories involving meth addicted white supremacists, a man looking for his kidnapped wife, and an Elvis impersonator. • Synopsis : Get ready to blast off to an out-of-this-world adventure with canine teenage astronaut, Pushok, who is determined to find his missing astronaut father. Against all odds, Pushok stows away on a US rocket ship to the moon but soon finds he is not alone, as he is reunited with his mom and encounters a macho monkey and a baby alien. 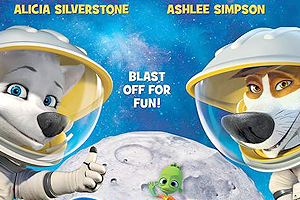 Together, the furry heroes learn the true meaning of teamwork as they join the search for Pushok’s dad. • Synopsis : This new docu-series will follow actress and singer Ashlee Simpson-Ross and her husband actor and artist Evan Ross. We’ll get an inside look into this young millennial couple as they try to balance life as new parents with a solid foundation of humor and love. Coming from two famous music families, Ashlee and Evan will take viewers inside the recording of their first duet album. Fans will see Evan’s rising star in music and Ashlee cautiously jumping back into the music world. We will watch as they face challenges and success in their marriage and music while receiving the unwavering support from their legendary families and life-long friends.